Fiji FA chief executive officer Mohammed Yusuf opened the 8-day course on behalf of FFA president Rajesh Patel with an acknowledgement of the contributions made by FIFA and Oceania Football Confederation towards the framework. “This course has been a long time in the making and many hours have gone into the creation of the curriculum so it is a real coup for us to be holding this event today,” Yusuf shared. The part 2 B Licence welcomes 18 coaches from across the region with a varying degree of coaching experience from coaching clubs to coaching national teams. The course covers a number of concepts including management, team culture, vision, and philosophy and match analysis. The high calibre instructors include FIFA/OFC instructor Giovani Fernandez, FIFA/OFC goalkeeper coach James James Bannantine and Fiji FA Technical Director Ravinesh Kumar. “To see the hard work that has gone into developing a strong coach education programme come to fruition is a great moment,” Gamel said. “It will be a long journey and a lot of hard work, but you are all here together because you want to help improve the quality of football in Oceania. “It is the coaches which will really lift the level of football in this region and make an impact not only in Fiji but across the Pacific. 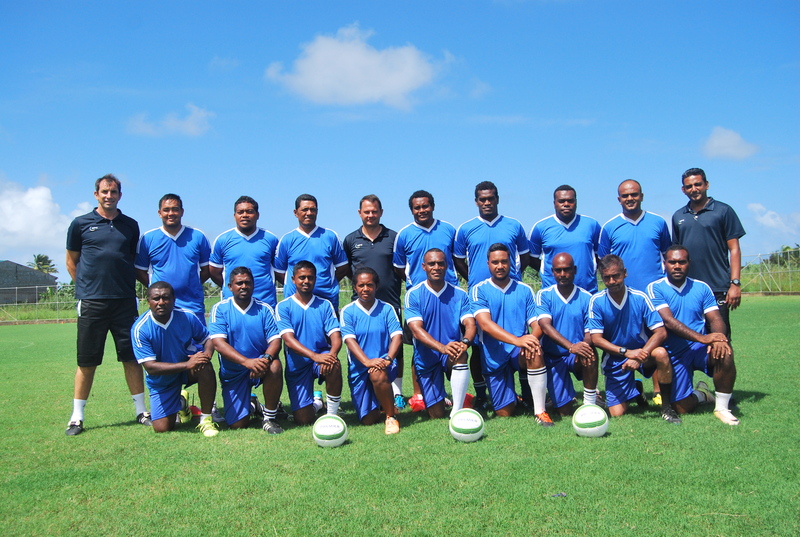 The FIFA/OFC B- License coaching is being held at the Suva from 31 March to 8 April.